* the other exhibit at the Billy Ireland opening last weekend -- and thus the second exhibit that will be open during CXC -- is one featuring original pages from Annie Koyama's donated art collection. Here's curator Caitlin McGurk standing amidst her well-conceived show! 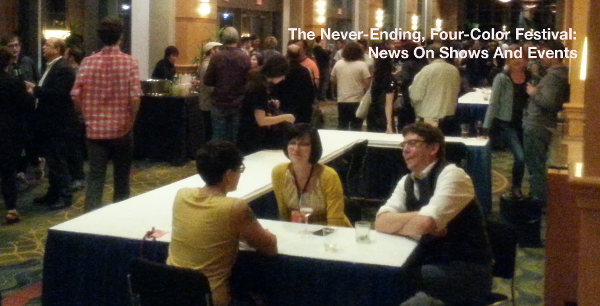 * it's all TCAF all the time, and will be through Monday -- maybe through Tuesday as there's a lot of regional summitry for a lot of cartoonists and their publishers early next week. I run a small, growing show of which I'm very proud in terms of the efforts of those with whom I'm involved, but I kind of lose my mind just looking at that sleek beast of a festival and its one-dozen awesome parties and its A-list guest list that goes 12-24 deep and its quality exhibitor line-up that goes about 350. Just amazing. What a gift TCAF is. Everyone party safely. 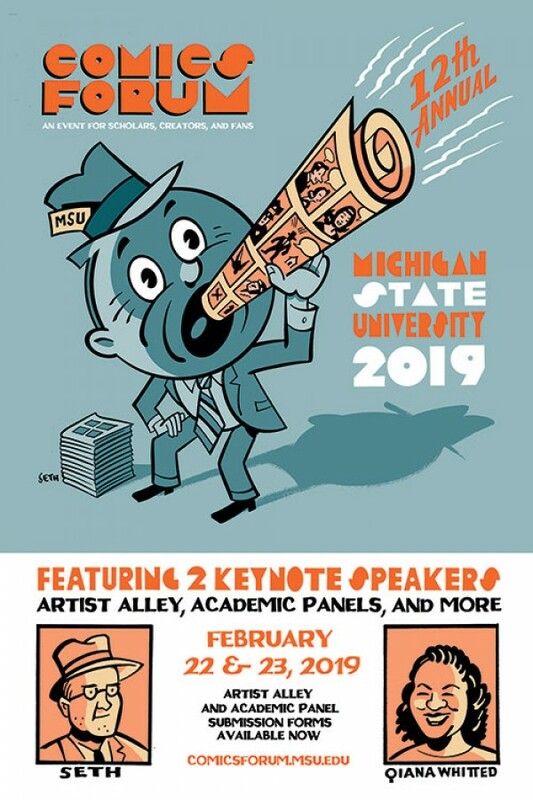 * finally: those smarties at MSU already have nice material out in support of their Comics Forum, February 22-23. That is delightful to see Seth draw the great Qiana Whitted. I'm dying to go.